Good quality data is really important for us to monitor and improve screening programmes. Our aim and responsibility is to present factually correct data in a useful and meaningful way. 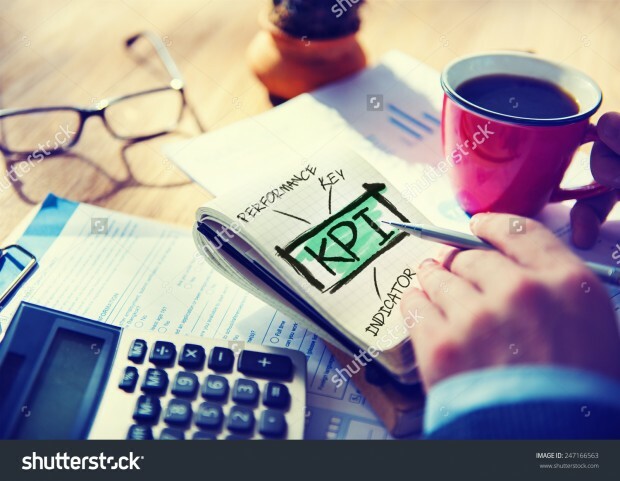 This blog includes reminders of our joint responsibilities to provide correct key performance indicator (KPI) data and gives some insight into the process we use to assure this. how does your data compare to submissions for previous quarters? is your data for the correct time period? have you used the correct submission templates (these include changes in the organisational structure)? is your data correct according to the national definition? is your eligible population correctly defined? is the numerator a subset of the denominator for cohort data? is the denominator the same for KPIs that are assumed to use the same denominator? does your commentary account for individuals who are not in the numerator but eligible for screening (exception reporting)? has your submission been signed off (name, title, organisation and email address)? We call this process sense checking but are aware there is only so much we can do at national level to spot possible inaccuracies. Errors are often much easier and quicker to spot and correct locally before making the submission to the national team. You may want to refer to the guidance for providers on the false or misleading information (FOMI) offence from The Care Act 2014 which sets out the responsibility of providers to supply and publish accurate data. We identified a problem with the diabetic eye screening (DES) software report during 2013 to 2014. As a result, we implemented an amended definition for counting invitations this year in 40 programmes in quarter one (1 April to 30 June) and 16 programmes in quarter two (1 July to 30 September). This meant we had to withhold DES KPIs from publication between quarter four 2013 to 2014 and quarter two 2014 to 2015 until a software fix could be rolled out to all affected programmes and the data resubmitted. Following this reporting fix, we have seen a fall in the number of invitations but an increase in uptake from approximately 80% to 83%. We therefore advise caution if comparing DE1 values (uptake of diabetic eye digital screening encounter) before and after quarter four 2013 to 2014. See the chart below - DE1 for uptake change since this correction in reporting software. 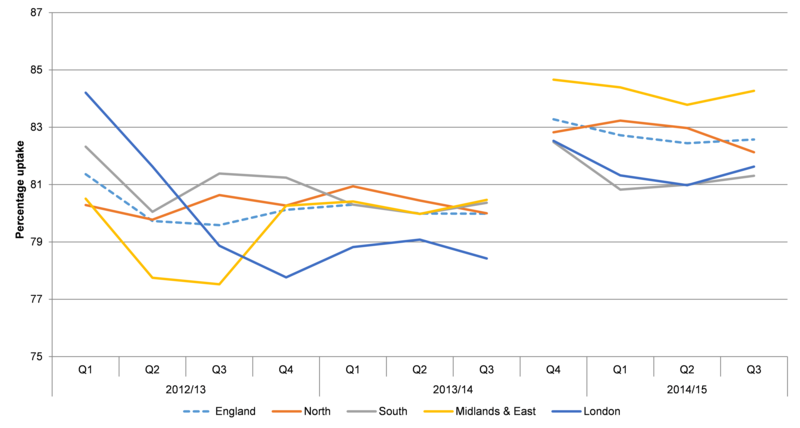 This data has now been published and is available on our KPI publication page. We are compiling and will shortly publish annual KPI data for 2014 to 2015. We constantly aim to improve the way we present screening KPI data in order to help programmes improve the quality of services. People are the key to transfer this knowledge into action and we welcome your suggestions of how we can improve this process. Key performance indicators: what does the latest data show?